The Lingaraja temple is dedicated to the Hindu god Shiva and is situated at Bhubaneshwar, Odisha. 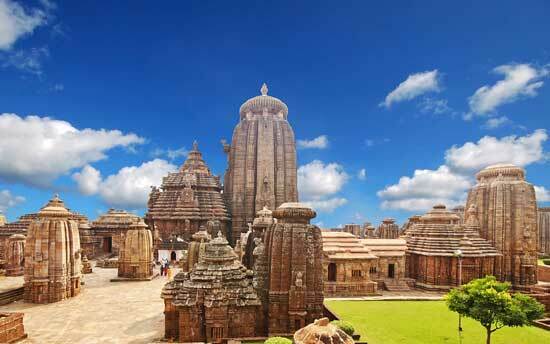 It is the largest temple in Bhubaneshwar and stands as a tourist attraction. Bhubaneshwar is originally known as the Ekamra Kshetra, as the Linga was under a mango tree (Ekamra). The Lingam here is a Swayambhu (self-manifested). According to legend, an underground river that originates from the Lingaraja temple fills the Bindusagar tank. This water is believed to cure spiritual and physical illness. It is believed that this temple was built during the 6th century and was renovated and completed in the 11th century. The Brahma Purana which is a sacred text in Hinduism also mentions this temple. According to legend, Lord Shiva explained to Parvathi why he loved Bhubaneshwar more than Banaras and upon hearing the story Parvathi went on a journey in the form of a female cattle. Two demons who wanted to marry her started following her despite her refusal. So Parvathi vanquished them and set herself free. Lord Shiva then created the Bindusara Lake in order to give eternity to the place. The temple functions between 5.00 am to 9.00 pm throughout the week. Maha Shivarathiri is celebrated here with special pujas. The Lingaraja is also one among the three deities who rides the Ratha yatra.